Accessories (6) - CTM - CZECH TRUCK MODEL, s.r.o. 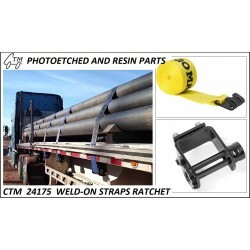 A set of four complete photo etched weld-on ratchet straps and hook and cargo protecting corners. Comes with blue textile straps. 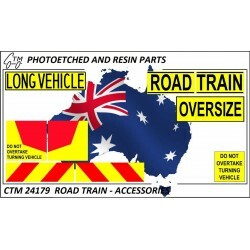 A set of typical Australian warning signs for Road train prime movers and trailers as well as for the oversize vehicles. Universal scale 1/24 and 1/25. A set of typical KW handles for cab, sleeper and locker doors. Nickel plates (brass prototype shown on the picture). 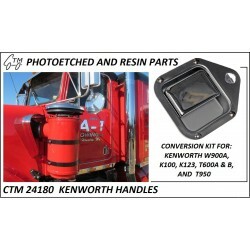 To be used with CTM 037 Kenworth K123/K125 set (the handles are included in the K100 and W900 sets) or separately or any model according to your wish. A set of various classic mobile phones. 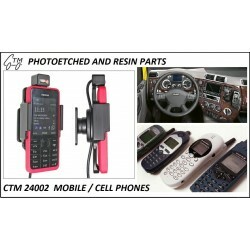 Different types and colors including hands free mounts. 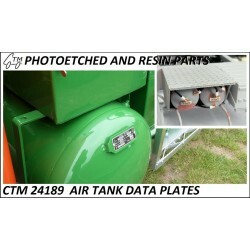 For detailing your truck and trailer air tanks. 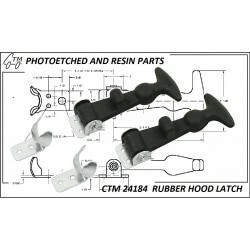 Universal for 1/24 and 1/25 scale and can be used or any American or European trucks and trailers. The data plates can be either used an applied with or without a mount.